Nisei - Born in Hardwick, California. Incarcerated in Fresno Assembly Center, Jerome, Arkansas and Rohwer, Arkansas during WW11. Relocated to Chicago. Attended Oakenwald Grammar School and Hyde Park High School. Attended Rollins College in Winter Park, Florida. Married a New Englander and settled near Boston. Mother of 3 children, 6 grandchildren and 6 great grandchildren. After divorce, I lived in New York City. Currently married to Sy Fischer. Theatre Credits - Studied odori, shamisen, nagautah in “camp”. Lots of Summer stock in New England and Chicago. On Broadway, I originated the role of “Gwenny” in THE WORLD OF SUZIE WONG. Also worked in small theaters in the New York Theatre Area. Moved to California and worked in theaters here….East West Players, etc…Have been in 49 plays. 50 Movies. 76 Television shows. 86 voiceovers. Kennedy Kabasares is an aerial artist and actor. He grew up in San Francisco, where he went to high school at the Ruth Asawa School of the Arts (formerly San Francisco School of the Arts), where he studied theater, and was also taught circus arts from Judy Finelli of the Pickle Family Circus. Kennedy was a theater major at California State University, Northridge, and University of Massachusetts, Amherst. He has worked with a diverse group of theater companies, including: Center Theater Group; East West Players; Singapore Rep; performance trio zero3; The 18 Mighty Mountain Warriors; Bindlesti Studio; Playwright&#39;s Arena; Navarasa Dance Group; and Kinetic Theory Circus Arts. An accomplished aerial artist, Kennedy’s main apparatus is the static trapeze, having studied under Eric Newton, Karyn and Sara Steben, and Rachel Walker. Kennedy was invited to compete in the 2011 Aerial Acrobatic Arts Festival in Denver, where he took first place for static trapeze, and went on to perform in the finals. traci kato-kiriyama is an award-winning artist, community organizer, and cultural producer. In community - traci is the Director/Co-Founder of Tuesday Night Project (presenter of art+community series, Tuesday Night Cafe, in its 21st year and the longest-running Asian American mic series in the country). She is also a steering committee member of the VigilantLOVE Coalition, working against Islamophobia and for safety through solidarity and healing initiatives. In career - traci is an actor and principal writer for PULLproject Ensemble, and has received recognition from several institutions and juries including two consecutive national grant awards from the Network of Ensemble Theaters. Their current show in development, Tales of Clamor, is both a call to action and an analysis of silence &amp; the collective clamor necessary to show up for self and other in the name of solidarity, safety, and justice. Tales of Clamor will have its world premiere in February of 2019 in Downtown Los Angeles. Recently, she was the springtime Teaching Artist-in-Residence for Grand Park and Artist in Residence for NeighborWorks America. She was the Artist-in-Residence for the AARC at Pomona College and was a guest lecturer for three years at Pitzer College, focusing on creative, counseling, and community paths in radical wellness & healing. Through each year for over the last two decades, she has toured to hundreds of venues throughout the country as a performer/actor, writer, theatre deviser & collaborator, writing/storytelling and ensemble performance facilitator, educator, speech & speaking coach, cultural producer, and artist-in-residence [Presenters include The Getty Foundation (L.A.), Skirball Cultural Center (L.A.), The Smithsonian (D.C.), The Ford Amphitheater Inside The Ford (L.A.), LaMaMa Cabaret (NYC), Yerba Buena Center for the Arts (San Francisco), Asian Arts Initiative (Philadelphia), EnWave Theatre (Toronto)]. Her writing and commentary have been featured by numerous print and online publications including Elle.com for Melissa Harris-Perry; The Hollywood Reporter; Entropy; Regent Press; The Rafu Shimpo; Heyday Books; Tia Chucha Press; Chapparal Canyon Press; Bamboo Ridge Press. Her forthcoming book of writing & poetry will be released by Writ Large Press in 2019. DIAN KOBAYASHI was last seen in Kentucky at East West Players and in Question 27, Question 28 at the Aratani Theatre, in a joint collaboration between JACCC and Artists at Play. She has also worked with the Grateful Crane Ensemble in their Growing up Sansei – Garage Door Opener events. She has performed for theatres across the country, including Pan Asian Rep (New York), International City Theatre (Long Beach), A.C.T. (San Francisco), Sacramento Theatre Company, Sundance Children’s Theatre (Utah), Barrington Stage Company (Massachusetts), Long Wharf Theatre (New Haven), Public Theatre (New York), Seattle Rep, South Coast Rep, Huntington Theatre Company (Boston), Syracuse Stage, Arizona Theatre Company, Berkeley Rep, Doolittle Theatre, and Mark Taper Forum. She has also made numerous appearances on film and T.V. Dedicated to all the internees, who met adversity with courage and dignity. 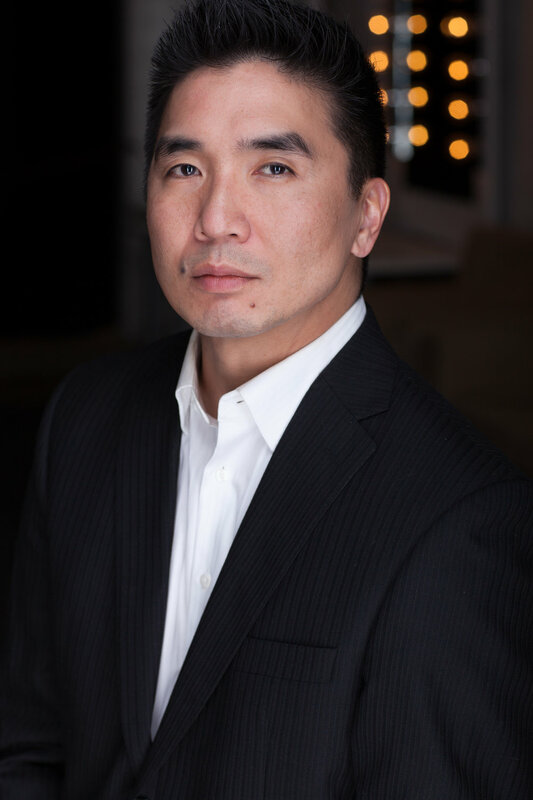 KURT KUNIYOSHI Credits include an Cox Communications Commercial, AT&T Commercial, Intuit Commercial, and a Microsoft Print Ad - Japan. Others include a PartyPoker.com commercial and a Flex Your Power PSA. Theater credits include Little Shop of Horrors, Manzanar: A Story of an American Family, A Funny Thing Happened on the Way to the Forum, Follies, Passion, Pacific Overtures, Broken Hearts, and A Jive Bombers Christmas, just to name a few. The Grateful Crane Ensemble included such hits as Camp Dance, Nihonmachi, Project Momotaro, Natsukashi no Kouhaku Utagassen, The Betrayed, Nikkei Hit Parade, The J-Town Jazz Club. And most recently, Goodwill Tour to Tohoku, Japan. 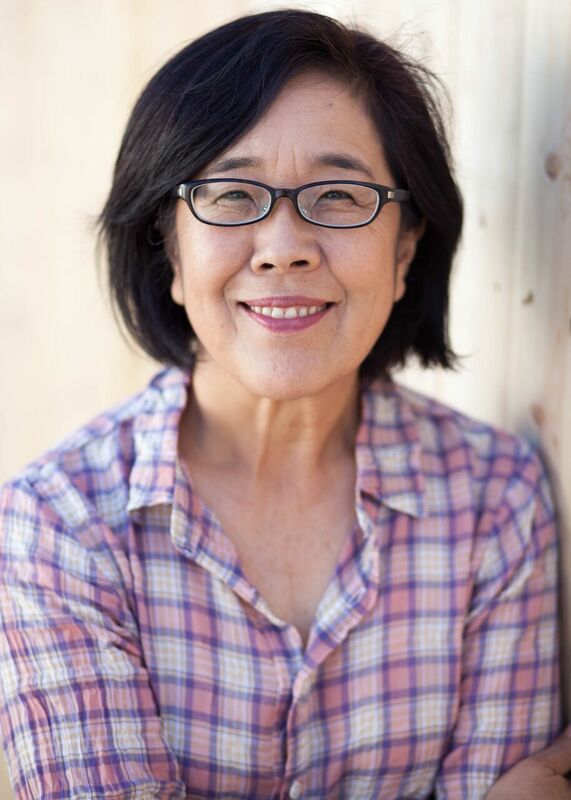 Jully Lee is an actor and the artistic director of COLD TOFU, the nation’s first Asian American improv comedy troupe, where she teaches and performs regularly. Her theatre credits include: Joy Luck Club (national tour), tokyo fish story (South Coast Rep), 36 Views (PCPA), The Enchanted Nightingale (Garry Marshall Thtr), and Mexican Day (Rogue Machine). Recent TV credits include recurring roles on The Kicks and Gang Related and appearances on Crazy Ex- Girlfriend, Veep, This Is Us, Henry Danger, Jane the Virgin, and The Kominsky Method. Sharon is pleased to have the opportunity to work with this ensemble on Tales of Clamor. She works in theatre, film and tv whenever she can! Recent work includes: This Little Show with Jason Fong, Little Women with Playwrights Arena/Jon Rivera, The Car Plays/Moving Arts, Eat With Me (as Emma, available on Hulu! ), The First (Hulu again), Forever (Amazon) and The Resident (Fox). Greg recently made his Broadway debut in Allegiance and was seen in Romeo and Juliet at the Oregon Shakespeare Festival. Greg’s theater credits include the world premiere productions of The Ballad Of Yachiyo (Berkeley Repertory Theatre, Seattle Repertory Theatre, Public Theater-New York) , The Summer Moon (A Contemporary Theater, South Coast Repertory Theatre), The Happy Ones (South Coast Rep, L.A. Drama Critics Circle nomination for Best Featured Performance) and Extraordinary Chambers (The Geffen Playhouse, Ovation nomination for Best Featured Actor). 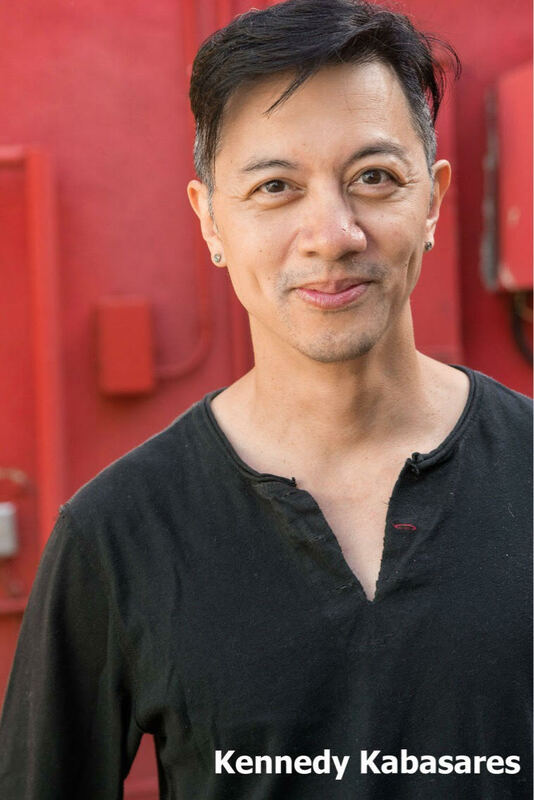 Dan Kwong is an award-winning solo multimedia performance artist, director, playwright and visual artist who has been presenting his work nationally and internationally since 1989. Hailed by critics as “a master storyteller”, Kwong combines his own life experiences with historical and contemporary material to explore the many facets of identity. His performances weave together autobiography, poetry, multimedia, dynamic physicality, and a generous sense of humor. Kwong has performed at venues all across the U.S. and in England, Hong Kong, Thailand, Cambodia, Indonesia, Mexico, Canada, China, Korea and Japan. He is recipient of fellowships from the National Endowment for the Arts, Rockefeller Foundation, Asian Cultural Council, and many more. He received awards for Outstanding Mid-Career Artist from the California Community Foundation and the City of Los Angeles Cultural Affairs Department, was honored by the Japanese American Historical Society for Outstanding Contributions to JA culture, and received the Santa Monica Artist Fellowship for 2017/18. In 2004 his first book, FROM INNER WORLDS TO OUTER SPACE: The Multimedia Performances of Dan Kwong, was published by University of Michigan Press, and the significance of his body of work is acknowledged in “A History of Asian American Theatre” (Cambridge Univ. Press, 2006). He was founder of TREASURE IN THE HOUSE, L.A.’s first Asian Pacific American performance & visual art festival, from 1991 to 2003 at Highways Performance Space where he also served on the Board of Directors for 17 years. Since 1990 Kwong has been affiliated with Great Leap Inc., the multicultural performing arts organization founded by Nobuko Miyamoto. As Associate Artistic Director, he manages Great Leap’s touring productions, is Project Director of their COLLABORATORY mentorship program, and directs and edits their environmentally-themed music video series, Eco-Vids. www.greatleap.org. In summer of 2018 he was one of four artists selected for the inaugural +LAB Artist Residency Program, living and working in Little Tokyo for three months. For his project he interviewed over 50 community members of Little Tokyo, collecting their stories and presenting them in a reading at the Japanese American National Museum. He is continuing to develop this project. Since 2000 he has worked on international collaborations throughout Asia, where he continues to travel for various projects. This February/March he will be in Taiwan developing a new collaborative performance with experimental filmmaker/poet/performer Tsai Zhijin. Alison M. De La Cruz (Executive Producer) is a multi-disciplinary theatre artist, producer, facilitator, educator, and cultural space instigator. De La Cruz is currently the Vice President of Programs the Japanese American Cultural & Community Center (JACCC) in Little Tokyo, Los Angeles. 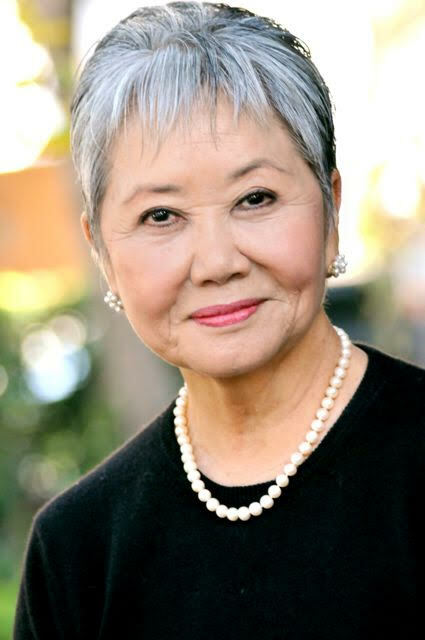 While at JACCC, De La Cruz has executive produced several unique productions, festivals and community engagement events including: the Los Angeles Premiere of the Broadway musical ALLEGIANCE, Comedy Comedy Festival: A Comedy Festival; Fukushima Honda Tomodachi Concert; The Little Tokyo Book Festival; The Eternal Getdown, and served as co-producer of the Aratani World Series. De La Cruz also recently directed the world premiere of Nathan Ramos’ AS WE BABBLE ON (East West Players).